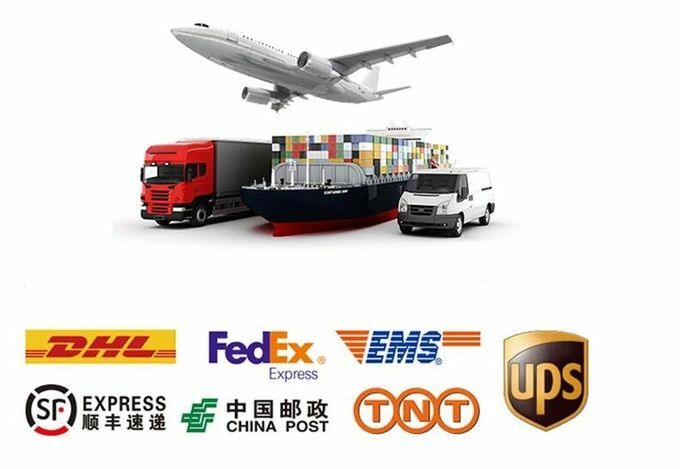 Best Laser Multi Position LED Rotary Laser marker adopting unique mechanism design of automatic and semi-automatic dual mode which save loading and unloading time, with the advantages of saving time, easy operation and improve work efficiency. 1. 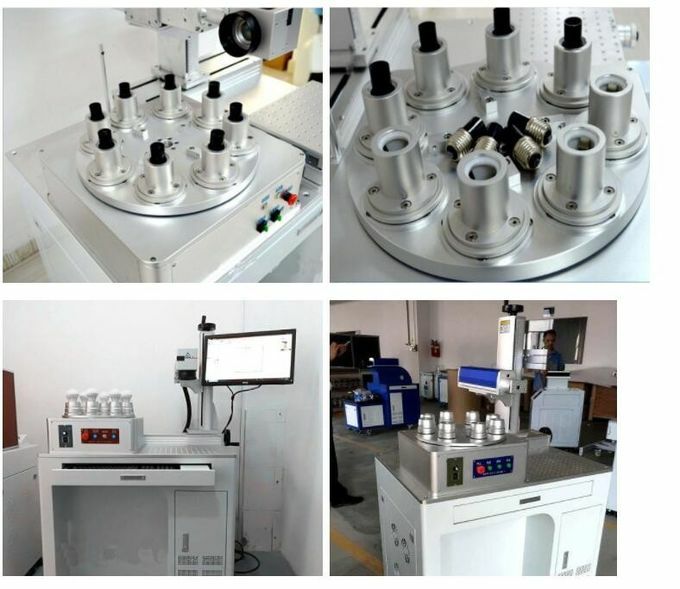 )Due to the extremely small focusing spot and small influence of processing heat, the UV laser can perform ultra-fine marking and special material marking, which is the preferred product for customers with higher requirements for marking. 2. )Unlike conventional solid-state lasers, which use crystal rods as laser media, automated multi-station rotators use long ytterbium-doped double-clad fibers as laser media and pumped by high power multimode laser diodes. 4. )Multi-position automatic feeding reduces worker's labor intensity and loading and unloading time, and can manage multiple devices and increase production effectiveness. 5. )Splitter making positioning very precise. 6. )Effectively implements the center-focus marking function,the laser part adopts power coupling loss and air cooling. 7. 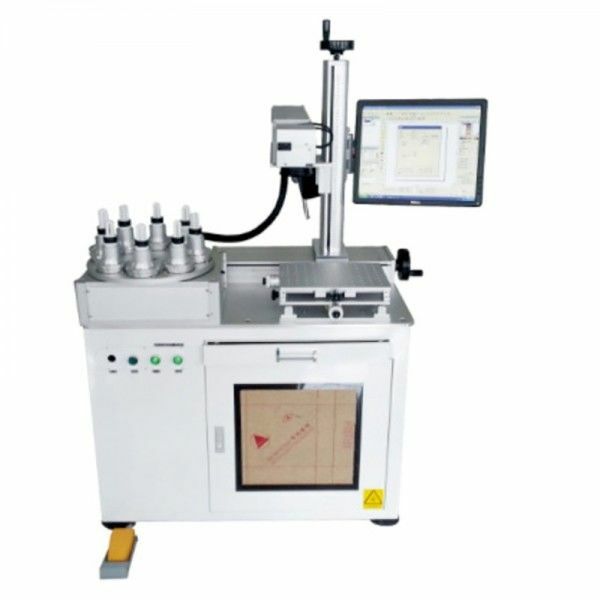 )has unique advantage of high efficiency, long life, and low maintenance that other lasers do not have. 8. )low cost usage, low energy consumption marking, and greatly save costs. 9. )Flat marking and rotary marking is available. market, the surface of the packing bottle of cosmetics, medicines, food and other polymer material marking, fine effect, marking a clear, strong, better than ink printing and no pollution; flexible PCB plate marking, scribing; silicon wafers, blind hole processing of microporous LCD liquid crystal glass; two-dimensional code marking and the glass surface marking, surface coating of metal marking, plastic buttons, gifts, electronic components, communication equipment, building materials, etc.